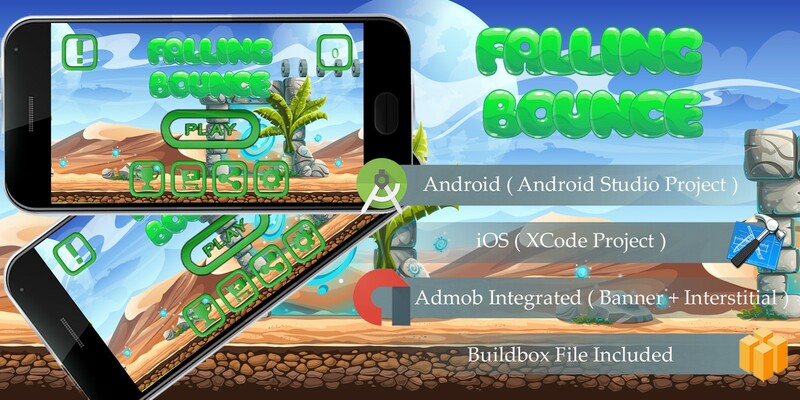 FALLING BOUNCE Game Template Android & iOS is a very challenge arcade game where you need to cross different enemy with coin collected. This game is very fun, because you can use another character with different level and world in endless gameplay to play with. Enjoy the endless fun and the beautiful design and don’t forget to share your top score to beat your friends. So lets play this game.